In 1905, what began as a family noodle shop in Little Tokyo inspired the incredible takeoff of a manufacturing company that would produce delectable Traditional Japanese Quality Noodles for over a century. Today, Nanka Seimen, the still proud family business resides in Southern California; serving customers from USA, Mexico, and Europe. 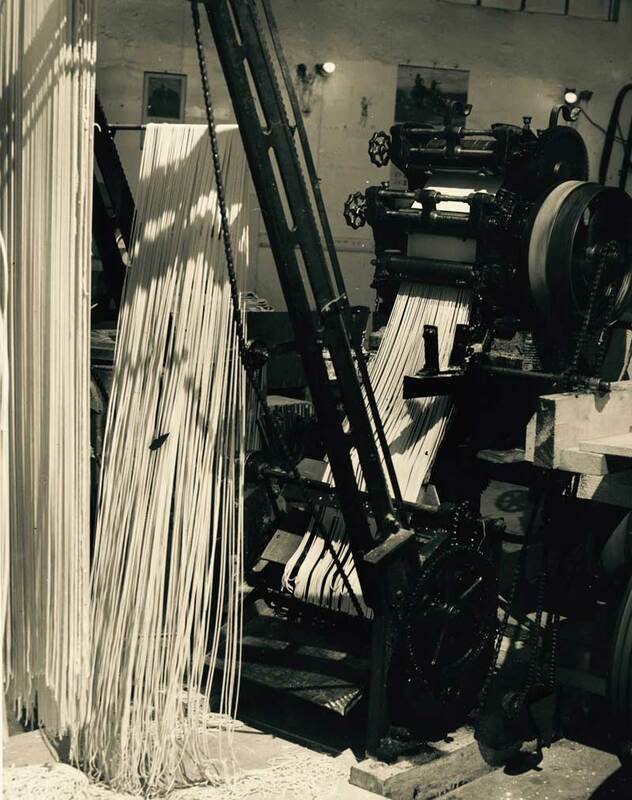 In addition to dry noodles, Nanka Seimen produces quality Fresh Noodles and Skins/Wrappers for over 70 years. Using authentic ingredients and Traditional Japanese procedures; we proudly offer all of our customers an authentic taste of Japan right here in Southern California. We firmly hold our Tradition and our Quality to the highest standard. In 1905, Masakichi Tokunaga, the founder of Nanka Seimen, and his wife moved from Japan to Los Angeles to reestablish their lives in America. With the first imported Japanese noodle making machine, they opened an authentic Japanese restaurant in Little Tokyo and brought the taste of Traditional Japanese noodles to Southern California. The outstanding reputation of their noodles quickly transitioned the small restaurant to a mom-and-pop noodle shop, to a bustling factory. In 1939, shortly after the bombing of Pearl Harbor, like many Japanese Americans, the Tokunaga family was forcibly interned. Masakichi Tokunaga left his keys to Keiichiro Sayano, an employee and close family friend, to pack and store the equipment. After the war, the Japanese community struggled to reestablish their lives as they lost most of their possessions during internment. As a symbol of stability and perseverance for the local Japanese community, Keiichiro Sayano decided to reopen the noodle factory, while introducing new items (Fresh Noodles & Skins) to meet the customer’s requests. In 1975, Keiichiro Sayano retired and passed the family business to his son, Shoichi Sayano, UCLA graduate and former McDonnell Douglas Aerothermodynamics Engineer. The challenge of making traditional Japanese noodles in mass quantities was not exactly on par with aerospace design; however, his commitment to kazoku (family) would eventually lure Shoichi San back to the family business. In 2016 after much thought and reflection the time came for Shoichi Sayano to pass along his legacy. He did not have any family to pass the business to so he turned to a family friend Gary Kawaguchi, whom he has known and trusted for over 50 years. Shoichi Sayano was Gary’s Boy Scout Leader so their families have been connected for a long time. The Nanka Seimen family business is now in the hands of Gary Kawaguchi, owner of Upper Crust Enterprises. Upper Crust Enterprises has been producing Authentic Japanese Panko and Tempura Batter mix in Los Angeles, CA for over 35 years. Both companies have a shared commitment to kazoku in the workplace so it is a good combination. Gary’s knowledge and familiarity with the Japanese community will ensure the tradition and quality foods of Nanka Seimen never waver. We at Nanka Seimen boldly aspire to continue to bring our customers Traditional Quality Noodles and Skins for another 100 years. “If you want to make a good quality product, there is no shortcut.